You really can't go wrong with chipotle. 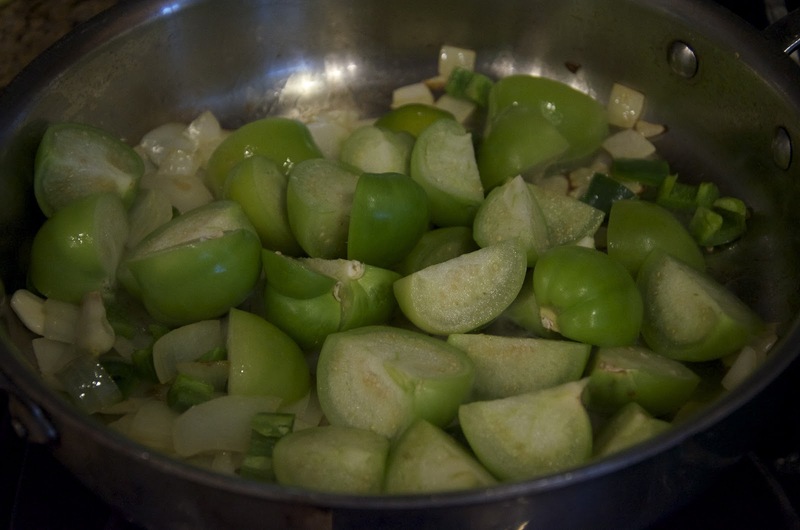 There is something about the spicy, earthy smoked jalapeno that adds such a nice flavor to things. 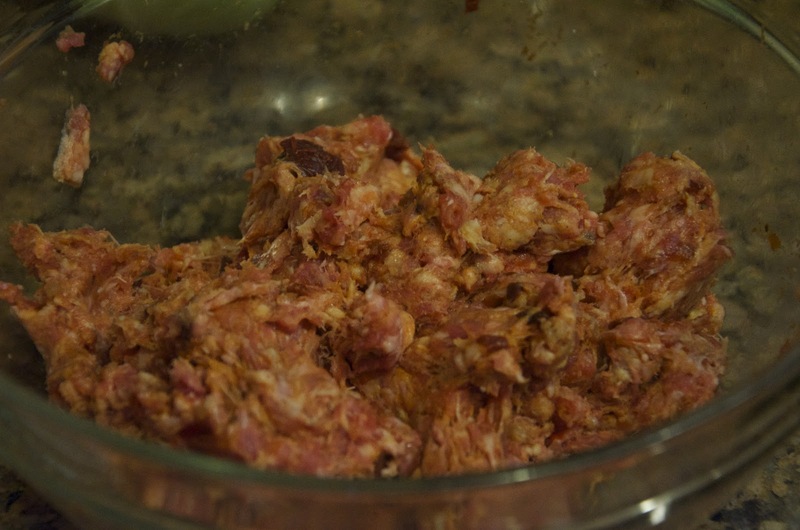 I was at Costco saw some Chorizo sausages, but the ingredients were a little less than desirable. I mean seriously, why in the heck do you need wheat flour? Ugh. Anyway, I thought making my own wouldn't be too hard, so that is what I did. And the tomatillo salsa went perfectly with it. 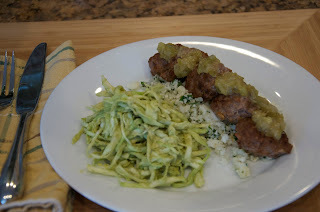 As did the slaw and caulirice! 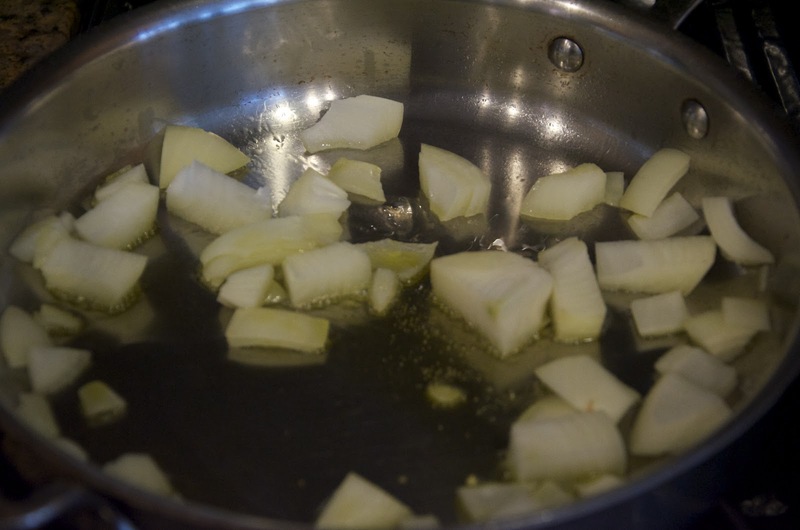 Heat the oil in a large pan over medium heat. Add the onions, cooking until translucent, about 3-5 minutes. 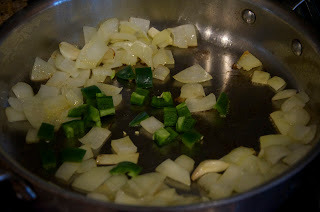 Add the garlic and jalapeño and cook for one minute. 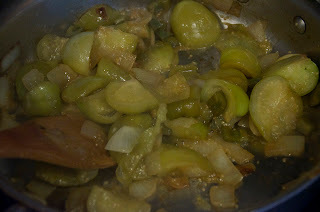 Add the tomatillo, reduce heat to medium low, and cook about 15-20 minutes until they are soft and are breaking down. 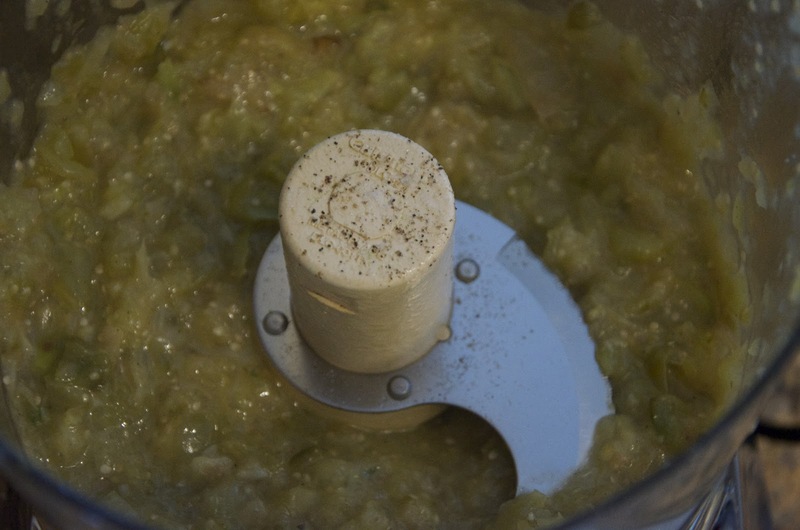 Put everything in a food processor and process until slightly chunky. Salt and pepper to taste. 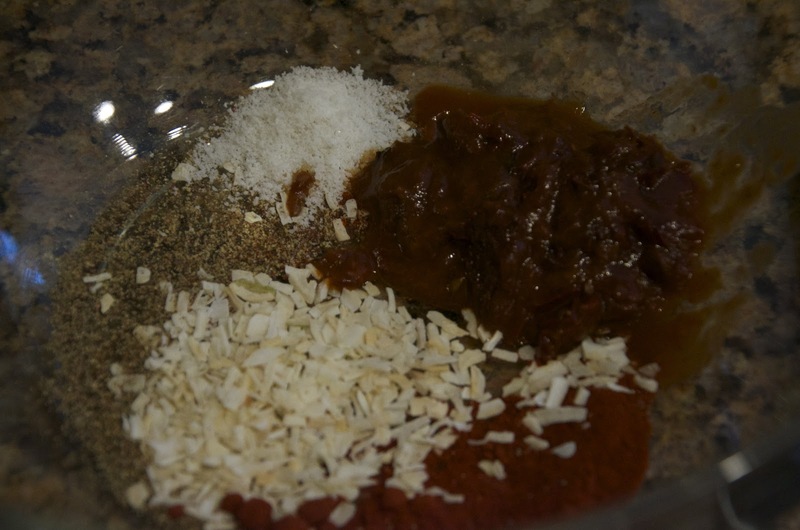 Mix the paprika, onion, salt, pepper and chipotle together. Add the pork and gently mix in the spices with the pork. Form into meatballs. Over medium in a large fry pan, heat the avocado oil. 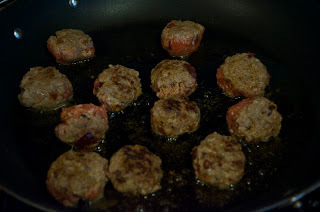 Add the meatballs, cooking and turning every few minutes until they are done, about 8-12 minutes depending on the size. Set aside and keep warm. 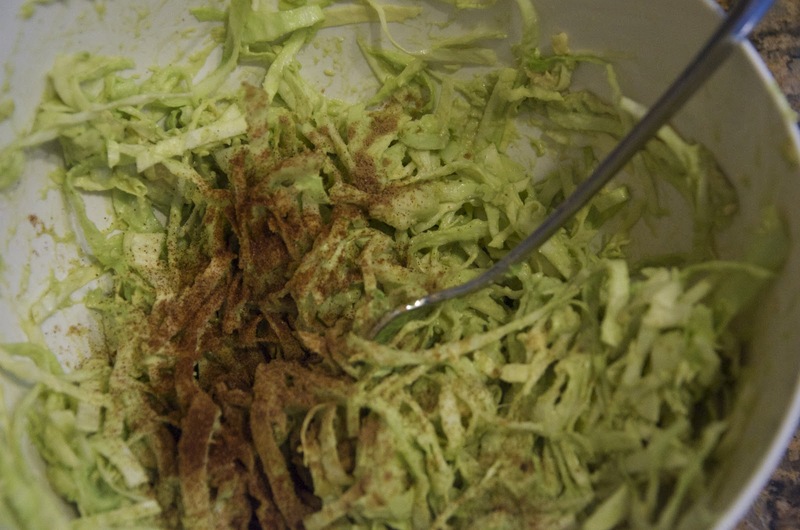 Thinly slice the cabbage. Add the lime juice and mix well. 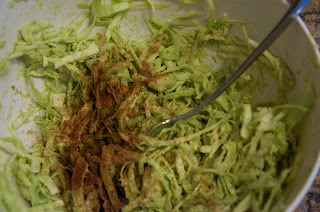 Remove fruit from avocado and mash in a bowl and then add to cabbage. Mix well, then add spices and salt and pepper to taste. Steam caulirice until tender, about 10 minutes. 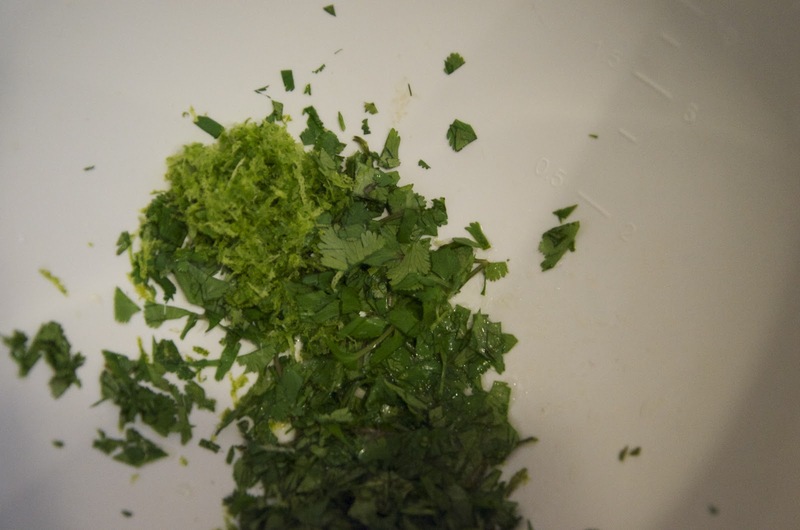 In a large bowl, mix together cilantro, zest of lime, lime juice. 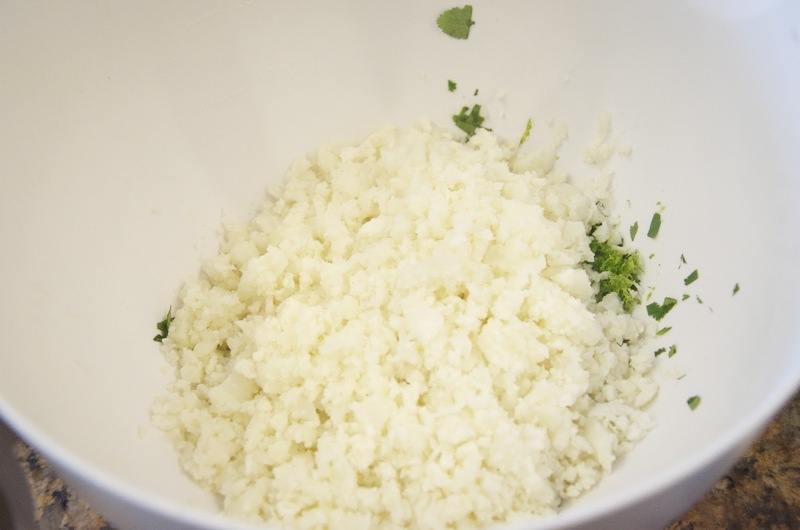 Add caulirice, mix well. Salt and pepper to taste.